According to IDC’s Worldwide Quarterly Storage Software Tracker, the worldwide storage software market experienced another decline in year-over-year growth in the third quarter of 2009 (3Q09) with revenues of $2.87 billion, representing –7.9% growth over the same quarter one year ago, but a 1.2% growth from the previous quarter (2Q09). IDC report shows EMC led the overall market with 23.4% revenue share in the third quarter of 2009. Symantec held onto the second position with 17.8% revenue share, while IBM finished in the third position with 12.2% revenue share. EMC Symmetric VMax is the latest breakthrough technology from EMC. It provides for a virtual data center with high end storage and scales up to 2 PB of usable protected capacity, writes Samantha Sai for storage.biz-news. 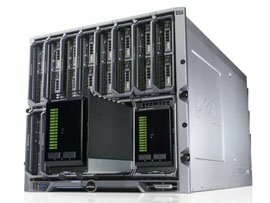 Unlike alternate arrays, it equips its customers with an ability to consolidate workloads with a comparatively small footprint. These systems will be available immediately. 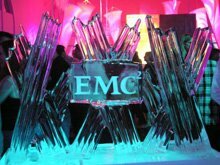 The Federal government has announced in a statement that Data Storage giant, EMC is being investigated over its pricing and improper contract practices. EMC revealed in its annual report with the SEC several days ago that the US justice Department had filed a lawsuit against the company, writes Samantha Sai for storage-biz.news.